Tank Details: Jewel Pamorama 80 - 81 x 41 x 50cm. 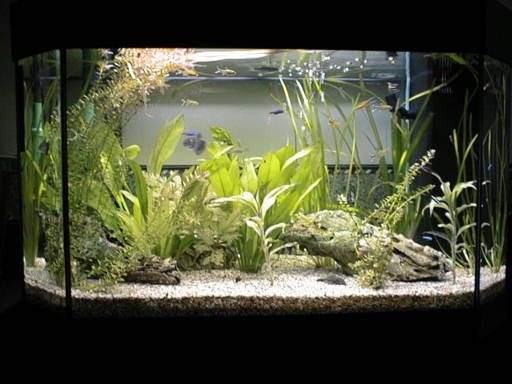 The Fish: 10 Cardinal Tetras, 10 Silvertip Tetras, 3 Black Widow Tetras, 3 Zebra Danios, 1 Bristle Nose Catfish. Comments: Jewel box filter (no media just pump) and Eheim 2228 external cannister filter.